North Korean leader Kim Jong Un has called for more weapons tests targeting the Pacific Ocean, a day after his nation for the first time flew a ballistic missile designed to carry a nuclear payload over Japan. Tuesday’s aggressive missile launch – probably the longest ever from North Korea – over the territory of a close US ally sends a clear message of defiance as Washington and Seoul conduct war games nearby. Pyongyang’s official Korean Central News Agency said it was a Hwasong-12 intermediate range missile that the North first successfully tested in May and threatened to fire into waters near Guam earlier this month. Mr Kim was present for intermediate range missile launch over Japan, the agency said. He expressed “great satisfaction” over the launch which he called a “meaningful prelude” to containing Guam, which is home to key US military bases that North Korea finds threatening. He said it is “necessary to positively push forward the work for putting the strategic force on a modern basis by conducting more ballistic rocket launching drills with the Pacific as a target in the future”. The launch seemed designed to show that North Korea can back up a threat to target the US territory of Guam, if it chooses to do so, while also establishing a potentially dangerous precedent that could see future missiles flying over Japan. South Korea said the missile travelled 1,677 miles and reached a maximum height of 341 miles as it flew over the northern Japanese island of Hokkaido. President Donald Trump said North Korea had signalled its “contempt for its neighbours” and that “all options are on the table” in terms of a US response. He said that “threatening and destabilising actions only increase the North Korean regime’s isolation in the region and among all nations of the world”. Any new test worries Washington and its allies because it presumably puts North Korea a step closer to its goal of an arsenal of nuclear missiles that can reliably target the US. North Korea has conducted launches at an unusually fast pace this year – 13 times, Seoul says – and some analysts believe it could have viable long-range nuclear missiles before the end of Mr Trump’s first term in early 2021. Officials on Guam said the threat level did not change and people in the territory were safe. 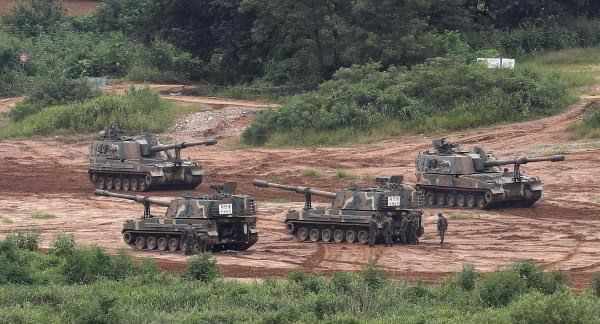 Guam homeland security adviser George Charfauros said the latest “sabre-rattling” did not come as a surprise since the country in previous years has increased its rhetoric and threats around annual war games that are currently under way between the US and South Korea.